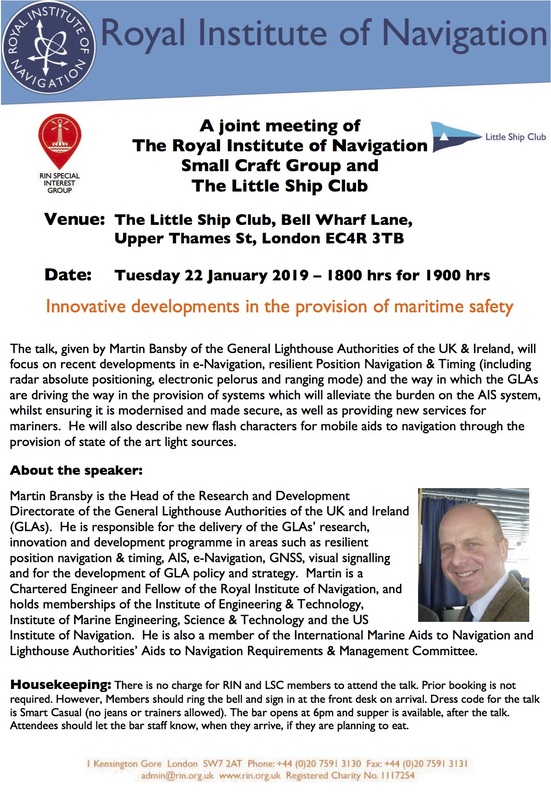 Innovative developments in the provision of maritime safety is the subject of the talk to be given by Martin Bansby at the joint meeting of the RIN Small Craft Group and The Little Ship Club. The talk at will focus on recent developments in e-Navigation, resilient Position Navigation & Timing (including radar absolute positioning, electronic pelorus and ranging mode) and the way in which the General Lighthouse Authorities are driving the way in the provision of systems which will alleviate the burden on the AIS system, whilst ensuring it is modernised and made secure, as well as providing new services for mariners. 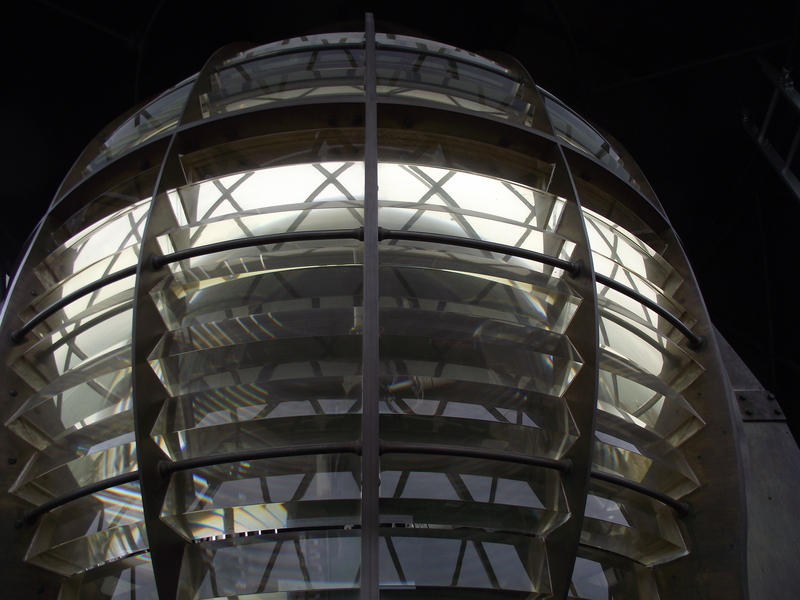 Martin will also describe new flash characters for mobile floating aids to navigation through the provision of state of the art light sources. There is no charge for RIN and LSC members to attend the talk. Prior booking is not required. However, Members should ring the bell and sign in at the front desk on arrival. Dress code for the talk is Smart Casual (no jeans or trainers allowed). The bar opens at 6pm and supper is available, after the talk. Attendees should let the bar staff know, when they arrive, if they are planning to eat.